This is the TrulyGlutenFree version so protocols, diet etc are grain and dairy free. 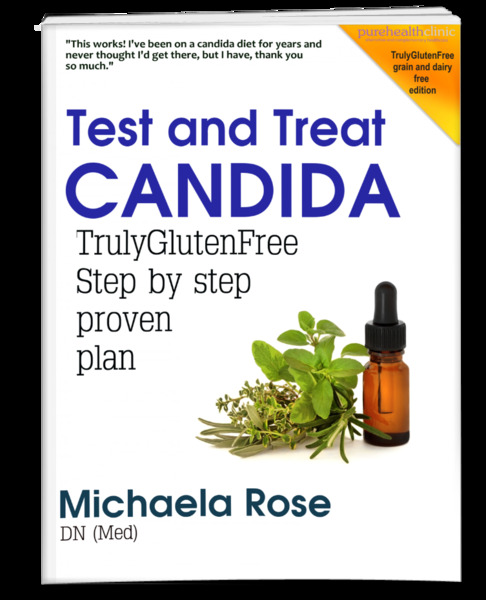 How to test and treat candida, this 36 page ebook is based on the 12 week clinic protocol I have used for patients for over a decade, and it has rarely ever let me down. Includes the best candida tests, candida diet, detailed and product-specific supplement protocol, relapse and therapy failure checklist, hygiene guidelines to avoid re-infection, full product guide and how to get support. It works also as a general Infection Plan too. I often give it minus the diet for bacterial and parasitic infections and may suggest a couple of tweaks in your test results email depending on what baddies have shown up. Note: Order the standard Candida Plan if you don't need TGF. What Are Fungi and Moulds? You can read more about the Candida Plan here.